From suffering with nightmares to sleepwalking, humans might think we have the strangest sleeping habits. But a new documentary will shed light on the contrasting sleep patterns of animals, from giraffes’ quick naps to lions’ marathon sleeping sessions, as well as dolphins’ strange one-eyed night swims. 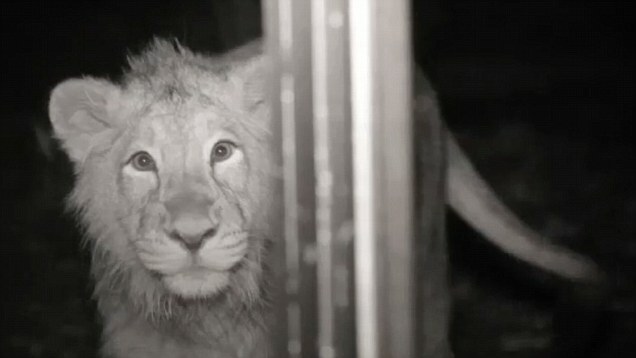 Sleep experts spent a night a Bristol Zoo with hi-tech cameras to spy on the animals through the night. 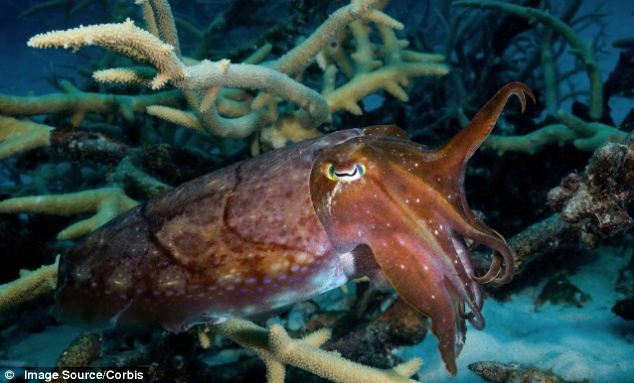 The BBC Four documentary will show that octopus and cuttlefish dream, The Times reported. While it is impossible to know what they dream about, scientists have found that the creatures display rapid eye movement during sleep, which in humans, shows that we are dreaming. 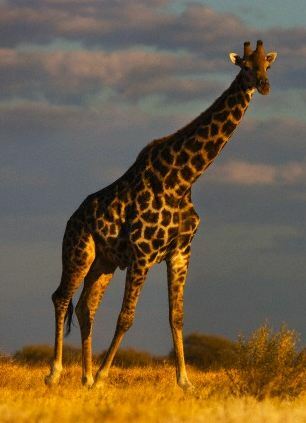 Giraffes typically slumber for just two hours a night and penguins for an average of four hours. 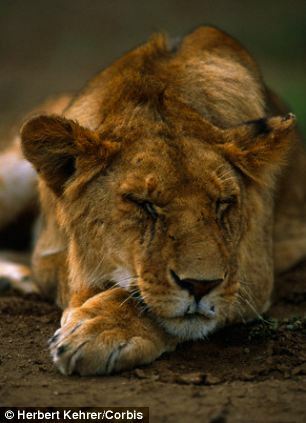 But lions and gorillas sleep for more than eight hours – making their sleep patterns comparable to human teenagers’. 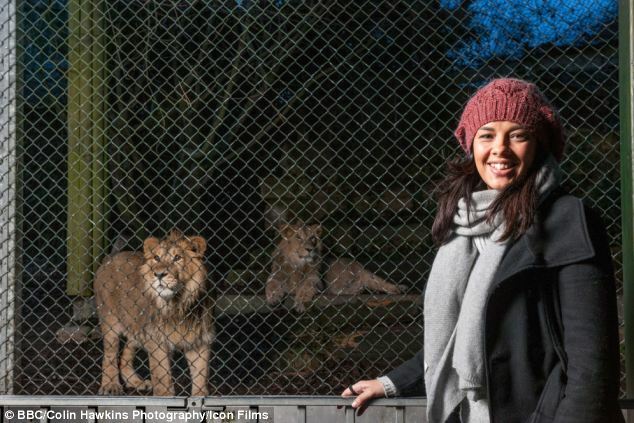 In the documentary called ‘Animals through the Night: Sleepover at the Zoo,’ which will air next Monday at 9pm on BBC Four, TV presenter Liz Bonnin and sleep expert Bryson Voirin will examine the sleeping patterns of animals from red pandas to meerkats and tapirs. By monitoring them throughout one night in realtime, they looked at why sleep is so important and what can be learned from the vast variety of animal sleep patterns. 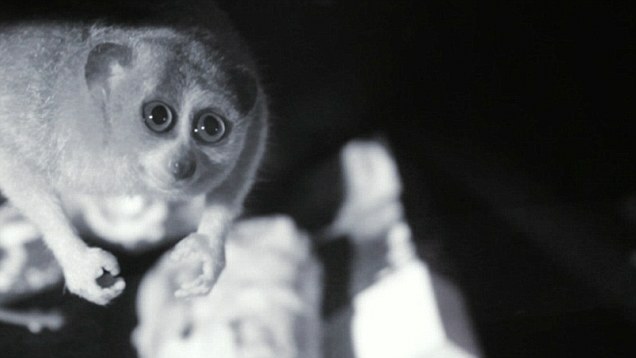 For the experiment, they rigged the zoo with a complex system of over 30 night-vision cameras and 20 infra-red motion sensors, which spied on the animals throughout the night. They typically found that animals most likely to be prey slept less than those at the top of the food chain. 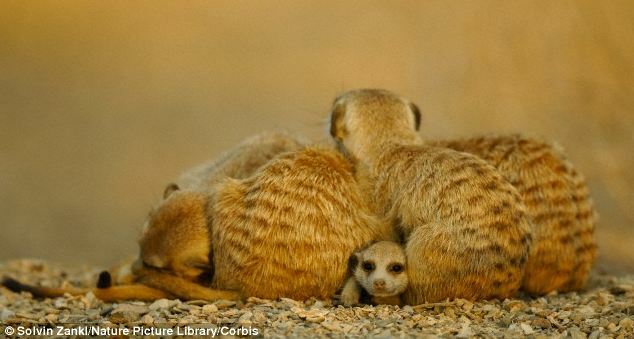 The documentary will show meerkats in their nests sleeping with an ear open for danger, despite being piled on top of each other in an adorable sleep heap and flamingos arranging themselves so they can keep a wary eye out for nocturnal predators. Ms Bonnin told The Radio Times: ‘When the meerkats are asleep, the matriarch will be in the middle and she will have the deepest sleep. Ants have also developed complex behavioural patterns which ensure that the colony sleeps undisturbed. 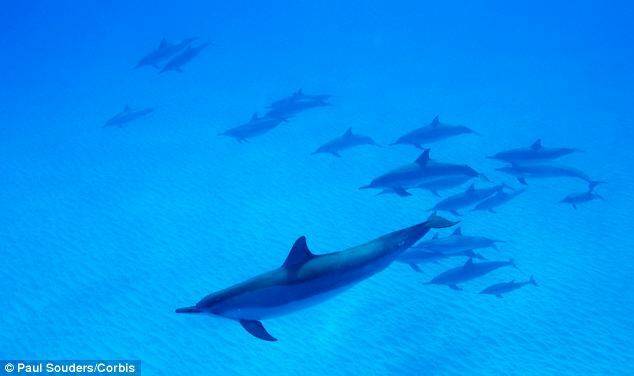 The programme will show that dolphins have come up with ingenious solutions to allow them to sleep while swimming – by shutting down each side of their brains alternately, while keeping the opposite eye open for navigational purposes and to resurface and breathe. Ms Bonnin said that getting to the bottom of why animals and humans need certain amount of sleep and why is a ‘holy grail’ for scientists. ‘Historically you think that the most highly evolved animals will need the most sleep, to recover and consolidate memory. But what’s becoming clear is that it’s got nothing to do with brain size or metabolic activity or where in the evolutionary tree the animal sits. It’s really all about what it has to do in its environment to survive.